It's alive! Well, kind of. Now who's the April fool? 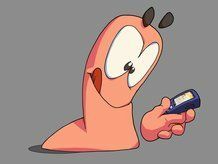 The Conficker worm, which was set to run riot on 1 April, has begun stirring. According to antivirus and internet content security firm Trend Micro, the worm, which is said to have infected millions of computers worldwide and could cause havoc on the internet if activated, has started to download a data package. Trend Micro believes the data, downloaded via P2P, may contain information for a widespread attack. "Last night we saw a new file in the Windows Temp folder. Checking on the file properties reveals that the file was created exactly on 7 April, 2009 at 07:41:21," said Trend Micro's Ivan Macalintal. If the Conficker worm does become active and your computer is infected, then it could steal sensitive data from your machine, remotely control your PC and effectively turn your computer into a spam-bot. Microsoft is keeping its Windows website updated with information about Conficker, and has posted information on how to rid your machine of the worm.